The Nice, Quiet Ones. IT NEEDED TO BE SAID!!!! anda know what they say, "Watch out for the Quiet ones...." for lebih info go to my submission page here:. 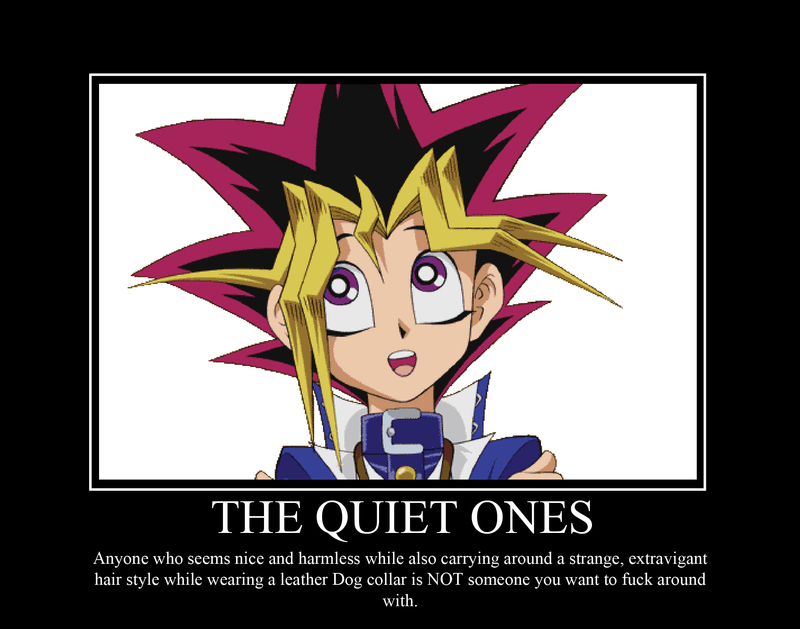 HD Wallpaper and background images in the Yugioh The Abridged Series club tagged: yami yugi abridged yugioh motivational poster posters evil ygotas. yugi is a sk8er boi don't mess with him!